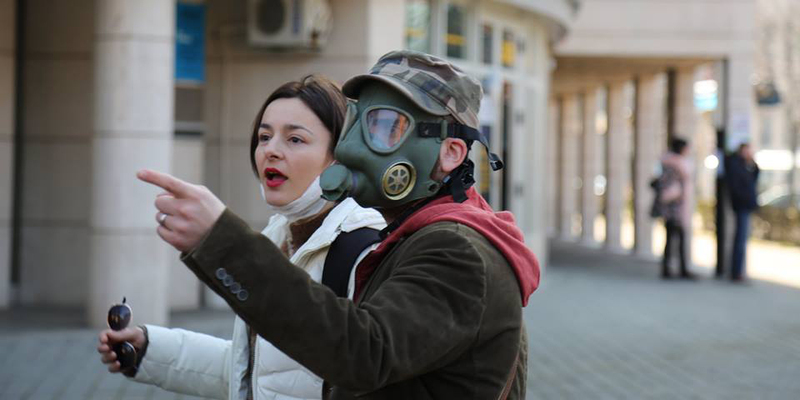 A protestor wears a gas mask during the weekend's march. Photo by Miralem Zutic‎ for POKRET ZA ČIST ZRAK! On Saturday hundreds marched in the centre of Tuzla to protest worsening air quality in the coal-dominated town of Bosnia and Herzegovina’s north-east, carrying banners that read “Clean air, not cancer!” and “Stop poisoning us!” . As the legal limits for pollutants PM2.5 (fine particles) and SO2 were breached during this long winter, the Clean Air Movement – a group of citizens living in Tuzla concerned about the worsening health condition as a result of air pollution exposure – took to the streets to demand that authorities find long-term solutions to this ever-present problem. The air quality in Tuzla is notorious, ranked second by the World Health Organisation among Europe’s most polluted towns in 2017. The news echoed far and wide and was reported on by the BBC, Arte TV and RAI. In 2017 Bankwatch’s independent dust metering (PM10 and PM2.5) revealed worsening levels of emissions compared to the same period in 2016, which is particularly worrying given that the year was much warmer, so in theory the need would be less for individual house-hold heating – the scape goat used by authorities. These findings have been used by locals to argue that source of the pollution is the town’s 715 MW power plant, which burns approximately 3.8 million tons of brown coal and lignite a year. A striking observation in both 2016 and 2017 independent monitoring periods is the pattern of emissions skyrocketing as soon as it gets dark, after seven in the evening, suggesting that the dust filters at the Tuzla power plant are turned off during the night. In spite of this, a new unit is planned by the state owned energy company, Elektroprivreda BiH, which signed a financing agreement with China Exim Bank in November 2017. The 450 MW proposed Tuzla 7 project would require additional coal capacity. The new unit would only replace two of the four current units, increasing the overall capacity and perpetuating the particulate matter pollution attributed to coal mining and the coal ash deposit. Regardless of how modern and efficient the new unit may be, coal mining and ash storage will not decrease. Our 2017 monitoring results, based on an analysis of wind direction, show exactly that PM 10 levels were much higher in 2017 than in 2016, pointing more towards the ash dump and the mine, rather than to combustion processes (either the power plant or traffic, normally responsible for PM2.5 emissions and less so than PM10). 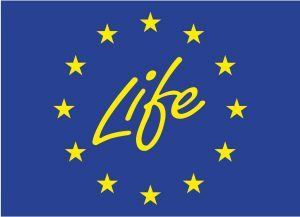 Tuzla 7 promoters claim that the new unit would be in line with EU pollution standards, but the project’s environmental permit clearly suggests the project will not meet the recently-adopted Best Available Techniques (BAT) . Rather, the project is much more likely to result in an increase of coal that would need to be mined and an increase in ash production, which, as seen above, plays a critical role in aggravating local air pollution. Local opposition to a new ash disposal site is high as well, with the local community representatives delivered a petition with 2100 signatures against the proposal to the Federal Ministry of Environment and Tourism in April 2016. With a growing citizens’ movements against industrial pollution in the Western Balkans and increasing evidence that coal power plants carry much of the blame, the region deserves an energy transition away from coal, as well as a real consultation with the public. Authorities need to act on the locals’ concerns when planning for the development of the country’s energy sector, a process now underway in Bosnia and Herzegovina.